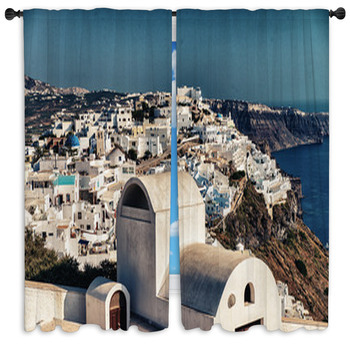 Add a touch of Greece to your home with our stunning Greek-themed window curtains. 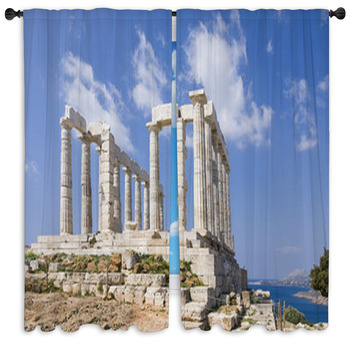 Whether you want to experience the sights of modern-day Greece or pay homage to the ancient Greek civilization, we have gorgeous drape styles that you will love. 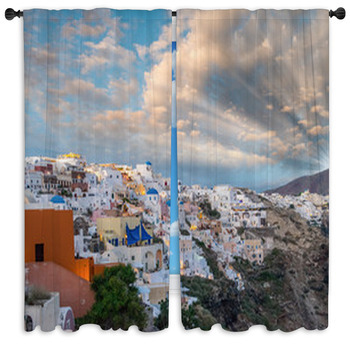 From Trojans to scenic coastal villages, you'll have a huge selection to choose from. 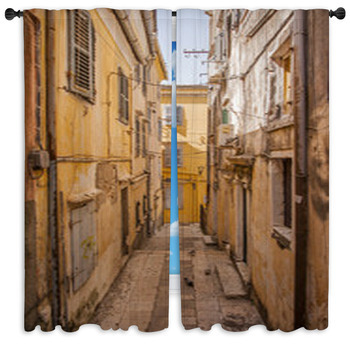 Add a valance to your new curtains for a custom look. The Trojans were among the mightiest warriors that ever existed. 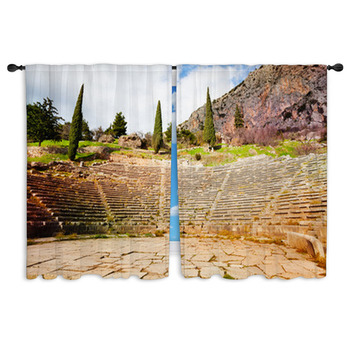 You'll find gorgeous window curtains featuring these soldiers as well as their helmets, as well as those of their Greek enemies. 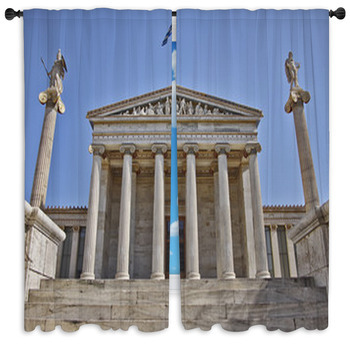 If your school mascot is a Trojan, check out our cartoon versions that will be perfect in a man cave or a teens room. 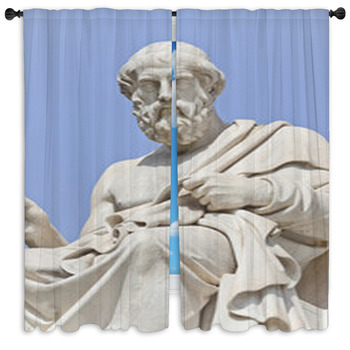 Ancient Greece is considered the birthplace of modern philosophy, and you'll find gorgeous drapes featuring your favorites. Of if you are more interested in theology check out our Greek god selection. 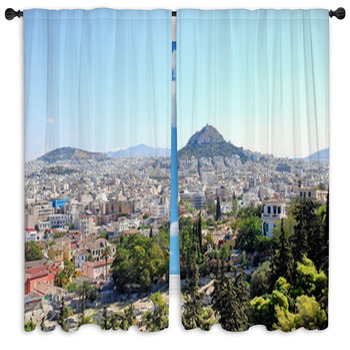 From gorgeous statuary to stylized designed, you'll enjoy browsing these window curtains. 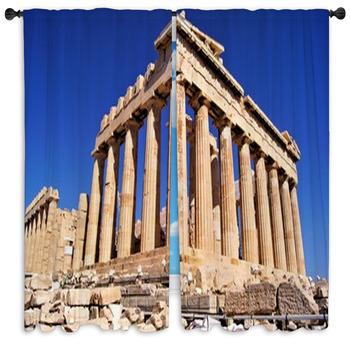 If you want to celebrate your Greek heritage or bring a piece of the home country into your living space, choose one of our landscape or flag designs. 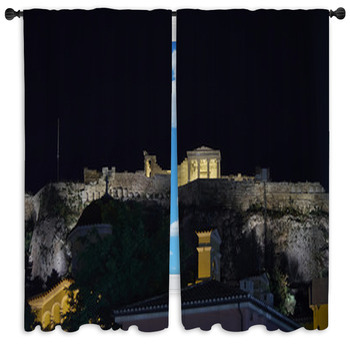 These curtains feature some of the ancient sites, gorgeous coast views, and the blue-and-white striped Greek flag. 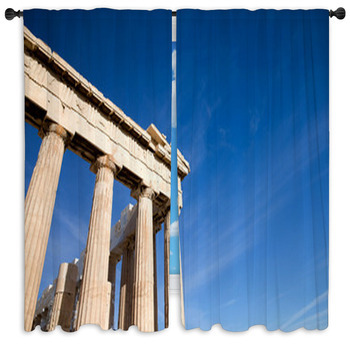 You'll also find great Greek patterns and borders in a variety of colors. 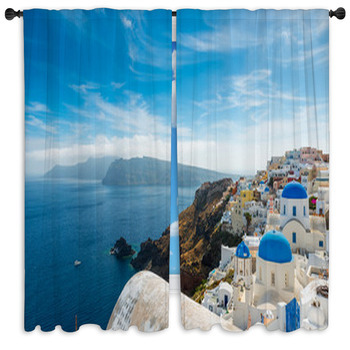 If you love everything Greek, you can decorate your entire home with our bedding, rugs, pillows, blankets, bath decor, wall murals, wall art, and more! 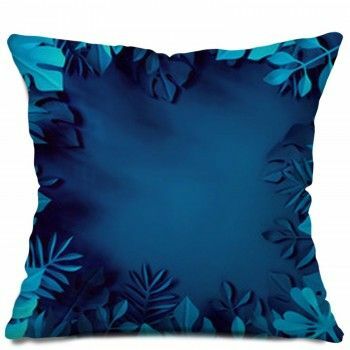 Many of these home accessory designs will match or coordinate with the window curtains.